This essay had its beginning in an investigation of changing attitudes to seventeenth-century Pre-Restoration poetry during the English Romantic period. 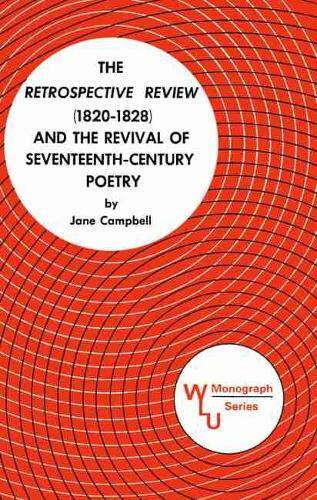 In the course of that research, Jane Campbell discovered that a relatively little-known periodical, the Retrospective Review , which was published in London from 1820 to 1828, appeared to have played an interesting part in the rehabilitation of the poets of the earlier period. This book, then, is an attempt to outline the history of this review, to place it against its literary background, and to assess its role in the critical re-evaluation of the poets of the earlier seventeenth centuryaan age to which the Retrospective 's contributors and their contemporaries looked with fascination as well as with an affectionate feeling of kinship.